 LIME MORTARS ACCORDING TO UNI EN 459-1. 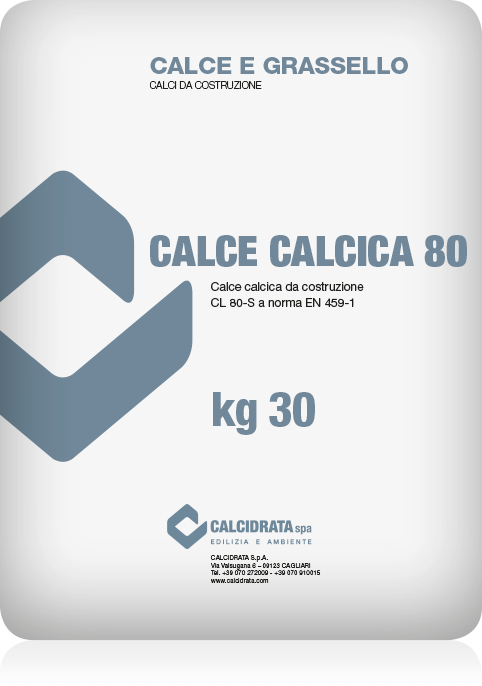 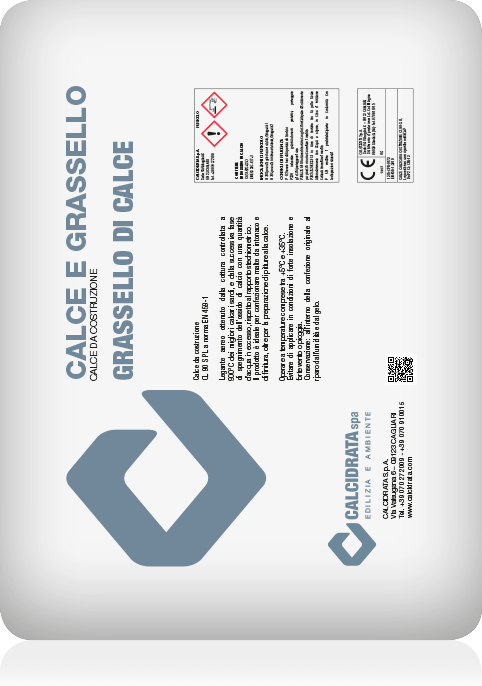 This product line consists of the historic CALCIDRATA S.p.A. products, such as “CALCE IDRATA” and “GRASSELLO DI CALCE”, aerial binders for the preparation of building mortars, characterized by a high degree of adaptability to the support and transpirability, 10 as well as products such as “CALCE CALCICA 80” and “GRASSELLO DI CALCE STAGIONATO”. 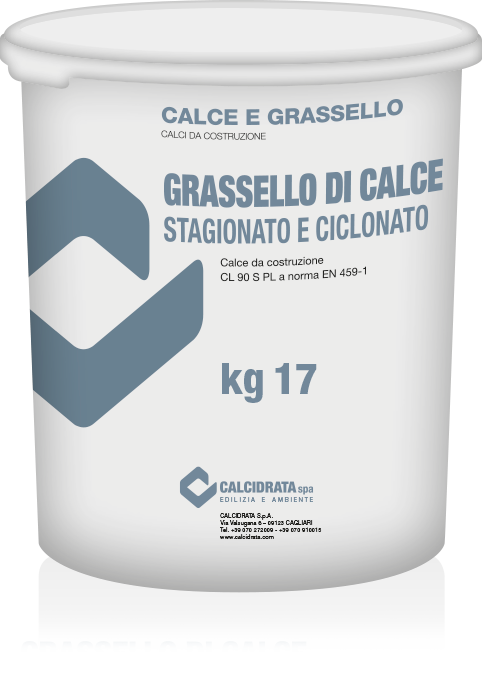 The latter is specific for fresco restoration works and paint production. 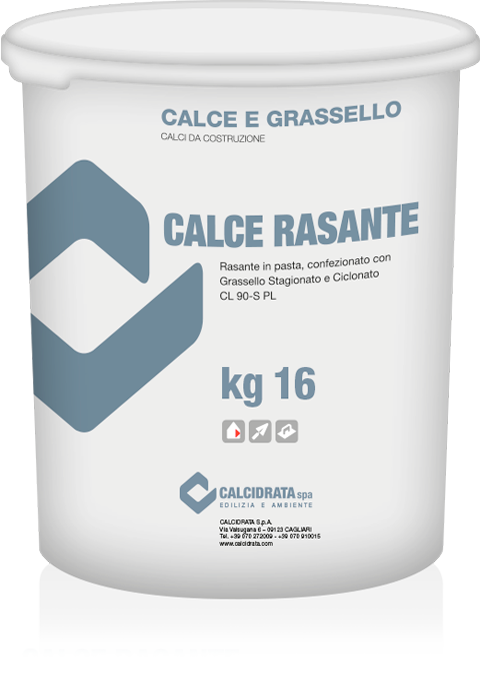 With the same aerial lime binders, the company has created a skimming product in paste such as “CALCE RASANTE” prepared with aged lime putty, for indoor decoration.